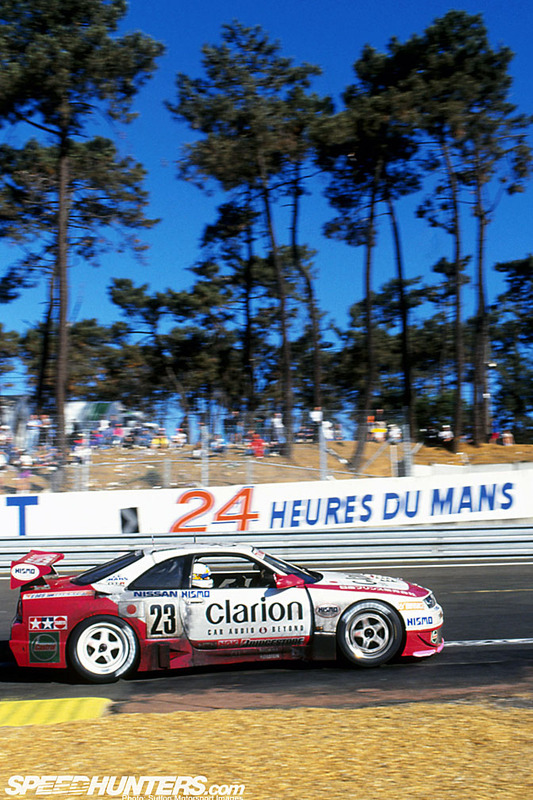 So 1995 saw a top ten finish at Le Mans for the NISMO run Nissan Skyline GT-R LM, how would it fare twelve months down the line? At first glance the car was largely unchanged, only the most observant would see the new rear wing, struts and endplates. However under the skin there were many developments. The engine was now 2800cc as the stroke had been increased on the RB26DETT to give even more power. The Garrett twin turbo arrangement set at around 1.4 bar now gave a quoted figure of over 600bhp. The engine had also been repositioned to sit lower in the chassis and it had been shifted back to give a 60:40 weight distribution front to rear. For those of you who like all the details the fuel injection was Nissan's own, plugs NGK, lights Ichikoh, shock absorbers Bilstein, rims Rays, tyres Bridgestone, brakes, discs and pads Carbon Industrie with Alcon callipers. The transmission was now all Nissan 6 speed, the experimental sequential X-Trac unit was dropped and this time the cars were indentical in specification. At scrutineering #22 (chassis 06017) tipped the scales at 1279 kilos and the sister car #23 (chassis 06016) was 6 kilos heavier. All of this despite the heavier transmission system. There were a few changes to the driver line up. #22 had Japanese F1 star Aguri Suzuki join Masahiko Kageyama and Masahiko Kondo. in #23 the experienced Masahiro Hasemi was drafted in to join Kazuyoshi Hoshino and Toshio Suzuki. So the GT-R was more powerful, and in theory would handle better, the transmission problems encountered in 1995 would be solved, all in all things would be better than in the previous year. So much for the good news. 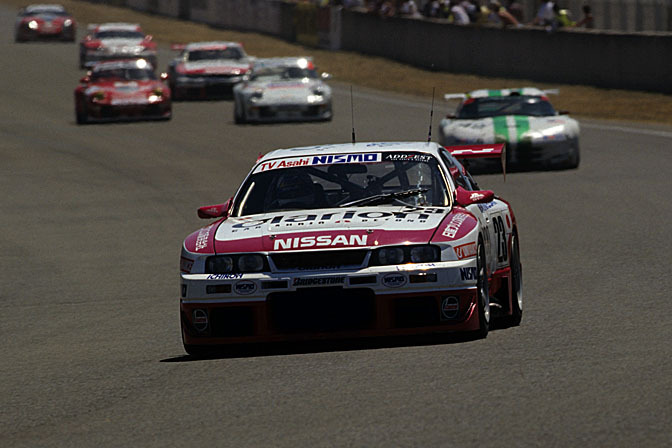 The problem for NISMO was that the opposition had also improved by leaps and bounds. To put a conventionally laid out car like the GT-R up against a supercar such as the McLaren F1 GTR was a big ask. In the 12 months since taking victory at Le Mans the guys in Woking had been busy. 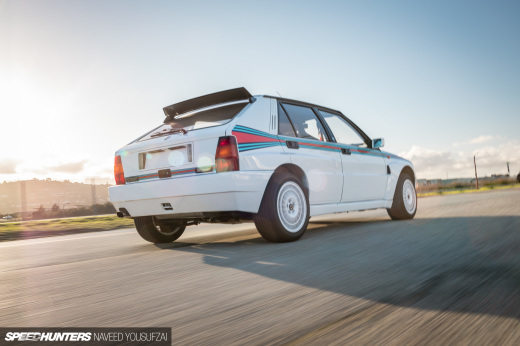 The cars were nearly 100 kilos lighter than the '95 model, the engine had been lowed, the suspension modified, even the re-fuelling system had been changed to save an estimated 6 seconds per stop. Then of course there were the Porsches………….. The drubbing that the GT2 EVO Porsches had received in the BPR during 95 irritated the factory at Weissach, back then Porsche expected to win. So in August that year the Board of Directors tasked Norbert Singer with the job of building a car that would be capable of outright victory at La Sarthe. The result, the 911 GT1, a mid-engined supercar designed with racing in mind moved the LM GT1 goal posts to the next continent. So while the Nissan Skyline GT-R LM was a fine car by any standards, when matched against the McLarens and Porsches it was a case of bringing a knife to a gun fight. 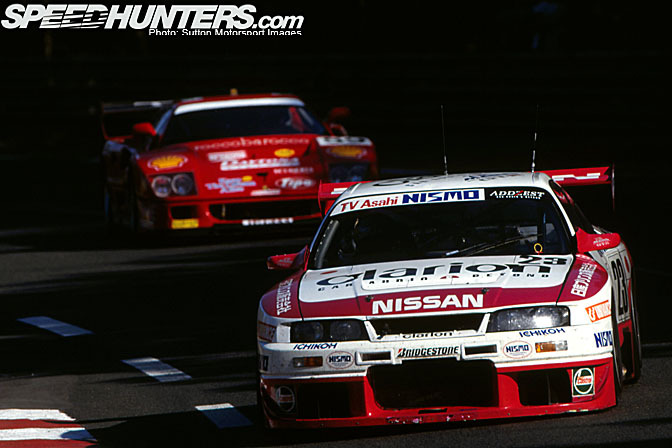 The 1996 Le Mans 24 Hours was going to be a very long race for the guys from NISMO. In 1995 both Nissans were given automatic invites as official factory entries. In 1996 this rule was altered so only one GT-R was invited, meaning that the team had to attend the Pre-Qualifying practice on the 28th April to get a second car on to the grid. Surprisingly NISMO made a third entry so #23 and #24 were on duty. #23 managed a time of 4:01.272, which was good enough for 18th place in LM GT1. # 24 was timed at 4:01.960, both times set by Masahiro Hasemi. With the second car safely into the race the team decided to withdraw #24 much to the relief of the Konrad Motorsport team whose Porsche 911 GT2 EVO was added to the list of qualifiers. Fast forward to June and the week of the race. The team concentrated on set up for the race during the Wednesday sessions, working on optimising the GT-Rs for the particular demands that Le Mans throws at its competitors. On Thursday Kazuyoshi Hoshino in #23 recorded a time of 3:59.946 and a speed trap at the entrance to Indianapolis Corner caught the car at 290 kph. #22 had a transmission failure so Aguri Suzuki was unable to make a qualifying run and had to settle for a time of 4:06.184, tripping the radar at 285kph. The Nissans had managed to improve their performance by over 10 seconds around Le Mans track, quite an achievement. Unfortunately the opposition had also speeded up. The McLarens were also around 10 seconds a lap faster than 1995, Steve Soper ending up with a 3:48.264. Even more impressive was the Porsche 911 GT1 who were both a second or so up the road and most observers felt that they had something in hand. All of this meant that #23 would start 29th overall and 17th in class, #22 was some six places back overall and four in class. It would be really tough to match the top ten finish of 1995. The 64th Le Mans 24 Hours got underway at 15.00 and as the Porsche GT1 duo battled for supremacy with the Joest, Ferrari and Courage prototypes the NISMO squad had more modest objectives. Finishing and beating the 1995 tenth overall would be the team's personal goal. At the first hour point #23 was running 32nd with #22 three places adrift. Over the next few hours they gradually made up places as others fell by the wayside. By 0300 at the halfway point #23 was up to 17th and #22 was 22nd. At around that time both entries started to experience brake problems. #22 had the front discs changed just before dawn but two hours later Aguri Suzuki had the brakes fail on him coming down the hill from the Dunlop Bridge, he speared into the armco and the GT-R became the 20th retirement of the race. At that point Toshio Suzuki was called into the pits and the brakes on #23 were purged. Then, with just three hours to the finish, and running strongly in 12th place Suzuki brought the Nissan in for a gearbox and transmission change. This cost them some 35 minutes and three places. More attention to the steering and front suspension did nothing to help the car climb back up the order. So when the flag came out at 1500 on the Sunday the NISMO team and #23 were rewarded with 15th place overall, tenth in class, having covered 307 laps. Despite spending 2 hours 7 minutes in the pits, almost double the time of the 1995 race they had completed 36 more laps or a total distance of 4,175 kilometres. It must be remembered that the weather in 1995 was truly appalling. The fastest race lap of #23 was 4:08.675 with #22's best some 2 seconds slower. During Saturday evening of the race a radar trap was set up near the restaurant on Les Hunaudieres, both cars were clocked at a top speed of 309kph. Despite the plan to race the GT-R at Le Mans for a minimum of three years it was clear that the performance leaps in the LM GT1 class would leave Nissan completely outclassed. The answer was to build a supercar and for 1997 there would be a mid engined Nissan R390 on the grid at Le Mans. As for the Nissan Skyline GT-R LM, honourable retirement was the next step. Of course there had to be a limited edition road car and this being SpeedHunters we have a feature for your entertainment. 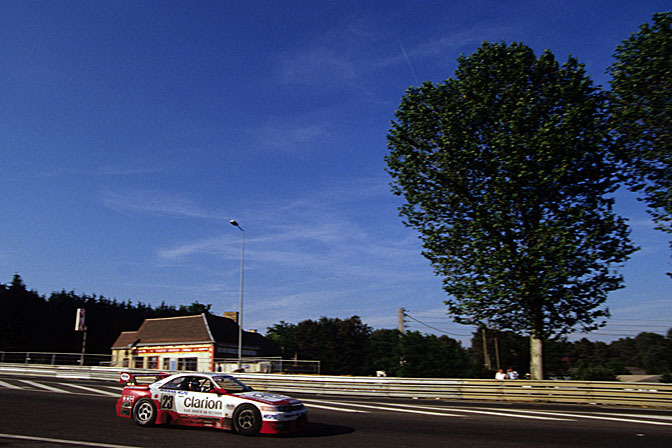 Looking back on the Le Mans campaigns in 95 & 96, NISMO could take pride in getting a car to the finish both years, something that Toyota did not manage to achieve. Once the supercars from McLaren and Porsche appeared there was no chance of outright success for the Skyline, indeed even those cars had to give best to the Joest Prototypes in 1996 and 1997, the circus had, as ever moved on. These race car features that you are doing are fantastic! Keep up the great work... speedhunters has become a daily stop for me! 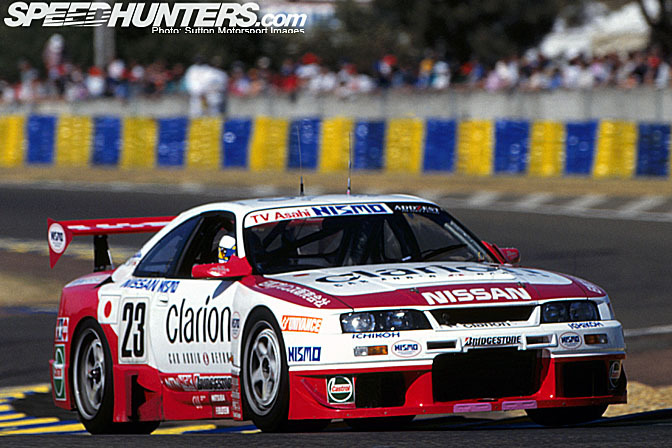 Awesome post, one of my favorite Nissan Racecars! A gearbox and transmission are widely accepted as the same thing. Love the history lessons! Awesome stories. Makes those other stories you linked to even more interesting now! John - Can we please get a desktop of one of the pics if possible? @everyone thanks, we enjoy posting these retro features and we have more in the pipeline. @Jace I explained on my last post that the rights attached to the images that are published on this kind of feature are restricted to simple editorial use at low rez. We have to respect the conditions that apply to the images were are supplied with. 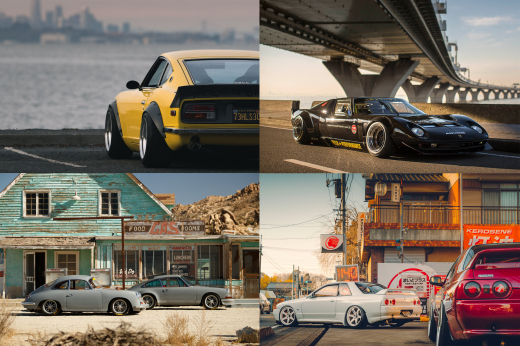 SpeedHunters post plenty of wallpapers when such restrictions are not in force. @robin........don't shout! Ask please! And see my comment above.
. My information came from the official pit reports of the ACO. I would assume that in addition to the gearbox that other elements of the system like the propshaft and/or differential were changed. I've never understood how an actual automotive journalist like Brooks got mixed up with the hacks on this website, who are more concerned with how close they can get the wheel rim to the fender lip, than either automobiles or journalism. TJ ouch that's a biting statement! @TJ............what an unkind thing to say...........first off I don;t call myself a journalist........I see my role more as a passable photographer who can write observational pieces and I have some knowledge and experience of the past........so I can pen Retro features with a degree of confidence. Writing for a new audience and about topics outside my comfort zone presents new opportunities and challenges. As to your assessment of the site, just look at the body of work surrounding themes other than low riders, Bonneville, BMW month, Mazda month, Le Mans 24, Nurburgring 24, Porsche month.............all the Japanese coverage......all the Drift and Time Attack reporting.......yes the enthusiasm for AE86s eludes me but that's because I am old and past it. But just look at the depth and breath of the content. Car Culture at Large is our Mission Statement and I think with the mix of what we provide that aim is, for the most part, achieved. Most of us get magazines, dip in and out reading the bits we like and ignoring those we don't, SpeedHunters is no different. 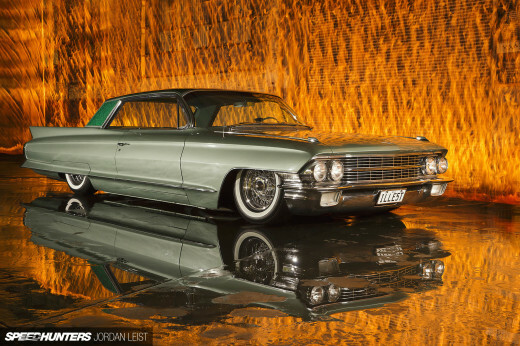 If rims and that like are not your thing ignore it. It doesn't cost you much either. ace piece cheers john. tj remember this site is free and better than any magazine ive ever read! read wat you enjoy and go elsewere to insult people. this site is best thing on the web.